Many small businesses not offering health benefits consider giving employees a salary bonus to help them pay for their individual health insurance. Why? They do not know about small businesses health insurance alternatives such as stand-alone health reimbursement arrangement plans (HRAs). On the surface, providing salary bonuses to employees may seem cheaper and simpler than reimbursing health insurance premiums through an HRA. But, there is one major consideration favoring an HRA for small businesses: Tax savings. Bottom line... By offering an HRA instead of giving bonuses to employees for health insurance, both the small business and employees save money. Here's a look at how an HRA saves small businesses taxes compared to giving bonuses to employees for their individual health insurance. The business pays taxes on the bonus. A bonus of $300 per month gross actually costs the business $323 per month after FICA/FUTA payroll taxes (7.65%) are factored in. Annually, the business is spending $3,875 to offer a pre-tax bonus of $3,600. HRA reimbursements are tax-deductible to the business. If the small business gives employees a $300 per month HRA allowance, the real cost to the business is $300 (FICA/FUTA payroll taxes do not apply to HRA reimbursements). Annually, the business is spending $3,600 to offer a pre-tax HRA benefit of $3,600. The employees pay taxes on the bonus. Assuming the employee is 1) single, and 2) making $35,000+, the employee will pay $1,175 of the $3,600 in taxes ($3,600 x 32.65%*). Annually, the business is spending $3,875 to offer an after-tax ("take home") bonus of $2,425. HRA reimbursements are 100% tax-free to employees. Because of this, $1 in HRA funds is worth approximately $1.50 - $2.00 in a taxable bonus (depending on the employee's tax bracket). With an HRA, the business is then spending $3,600 annually to offer a pre-tax HRA benefit of $3,600, which translates in value to $5,400 - $7,200 in a taxable bonus. With a bonus, it's not guaranteed employees will spend the money on health care expenses. HRAs only reimburse for eligible health care expenses, determined by the business. Employees are only reimbursed from their HRA once they show proof of their health care expense. And, employees are only reimbursed up to the amount of their HRA allowance (in the case of a $300 HRA allowance, if the employee's health insurance only costs $210, the employer only pays $210). The business sets the HRA allowances. HRA allowances can be varied based on employee job classifications, and there is no "minimum contribution." The business decides what expenses can be reimbursed by the HRA. The business selects type of eligible categories from a menu of IRS-approved expenses including health insurance premiums, dental expenses, doctor visits, prescriptions, hospital, etc. The business decides who is eligible for the HRA. The business can restrict eligibility based on job classifications, and there is no "minimum participation." Employees understand the exact parameters of the plan (these plan details and benefits can be presented to candidates in an offer letter). Employees are reminded of the HRA benefit on their pay check (they see an HRA line-item each pay period, versus the amount being rolled into their gross earnings). 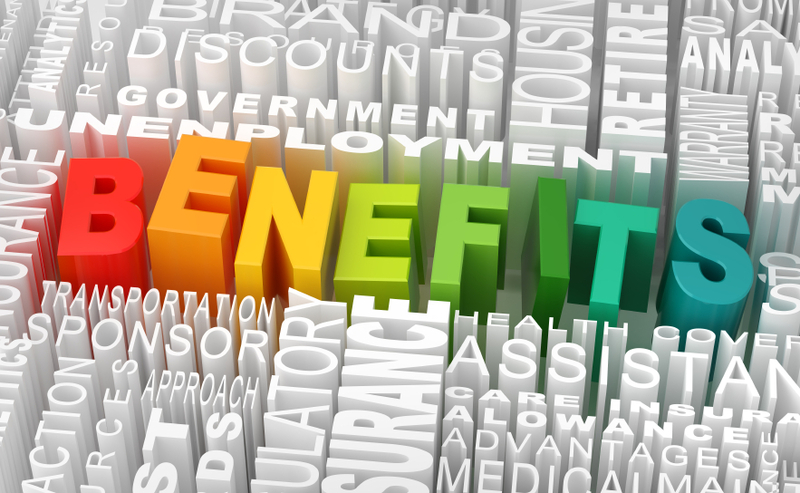 Employees perceive fairness and accountability in the benefits program. So for these reasons, all small businesses should stop giving bonuses to employees for health insurance and start directing this money through an HRA.. Your bottom line (and employees) will thank you.